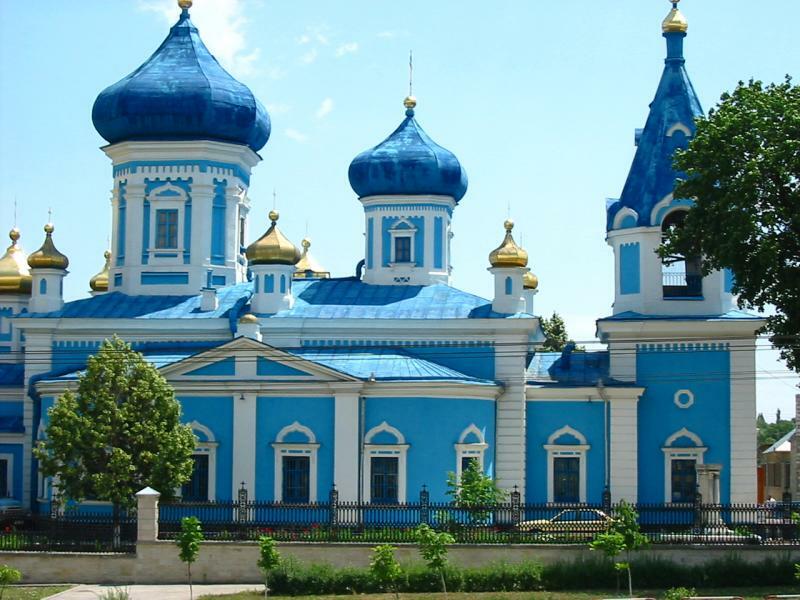 Located between Ukraine and Romania, Moldova is hardly considered as a destination for travelers. 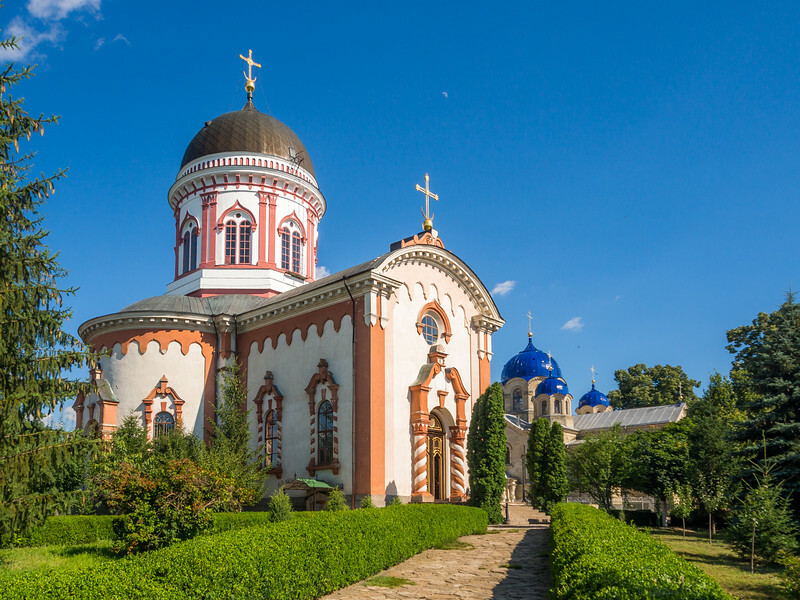 However, Moldova tour offers a remarkably insightful opportunity to get to grips with the history and culture of Eastern Europe. 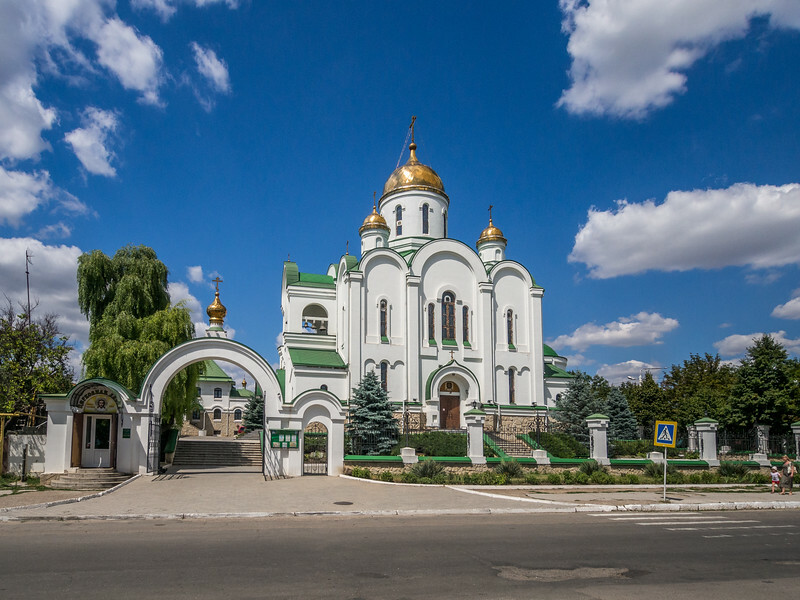 Soviet architecture, ancient monasteries, UNESCO old towns, and cultural cities combine to create an enlightening and exciting Moldova and Ukraine tour which in turn acts as the best way to travel Europe. 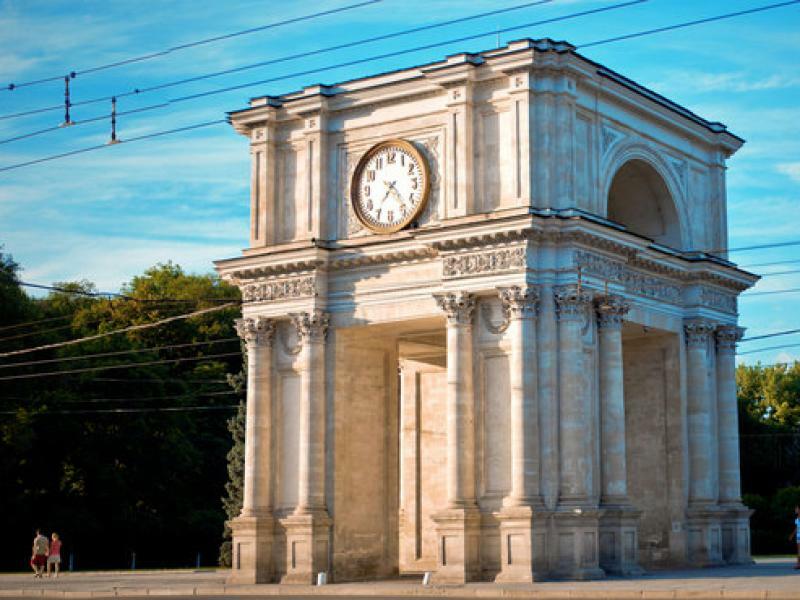 Today, your Europe’s frontier journey begins as you land in Chisinau and meet your private guide at the airport who’ll transfer you to your luxurious hotel. After check-in, relax into the comforts of your room and take in the vibe of Ukraine. Today morning, you’ll be set out on foot from your hotel for a walking tour of the Moldovan capital. Though the city dates back to 1420, a massive earthquake in 1940 ruined most of the historic center, while WWII finished the job off. 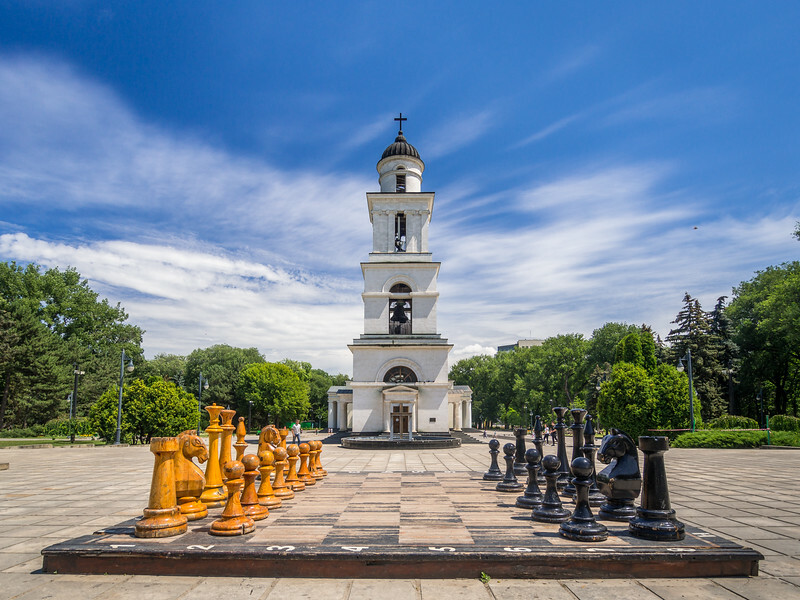 Later, Chisinau was rebuilt in a Soviet-style, leaving a city dominated by unadorned buildings, but there are some really outlandish gems including the now abandoned Winter Circus, the bell tower of the Nativity Cathedral and Triumphal Arch. The central market is another attraction, which first opened in 1825 and has been the center of life in the city ever since. It's worth withstanding with the crowds for exquisite fresh fruit, nuts, and wine. Making your way out of the city you’ll stop for a traditional home-cooked lunch in a tiny farmstead. From here you’ll be visiting the lovely, isolated hilltop Orhei Monastery which dates back to the 14th century. Your final stop before you return back to Chisinau is the Milestii Mici Winery, which is home to the largest wine cellar in the globe! Here you will drive down into the cellar in the tour bus, crossing hundreds of barrels of the ‘holy drink’ as it is known locally. Try out several varieties of wine and learn about the enthralling history of oenology in this strange corner of Europe. 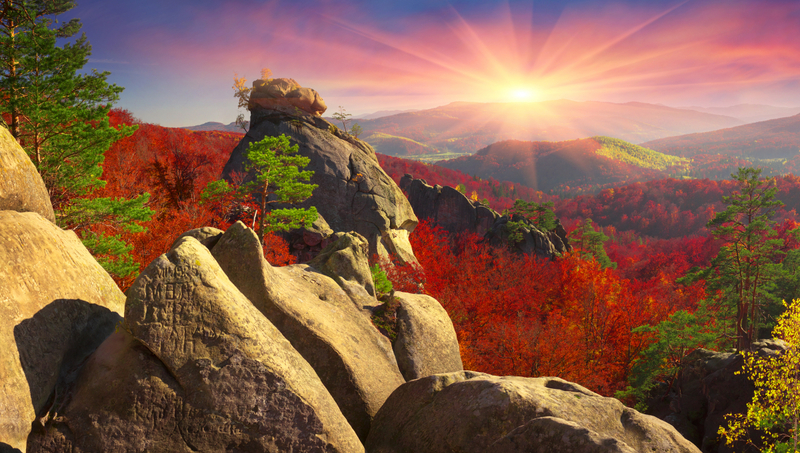 Your destination for today is one of the strangest in Eastern Europe. Transnistria is a self-declared republic which occupies a narrow strip of land in Eastern Moldova. A microstate which is officially only recognized by the locals who live there! Yet they have their own border force, currency and postal service. The region reminds back to the days of the USSR and is strongly pro-Russian, though it receives little financial support in return. There are picturesque sculptures of Lenin all over the city. 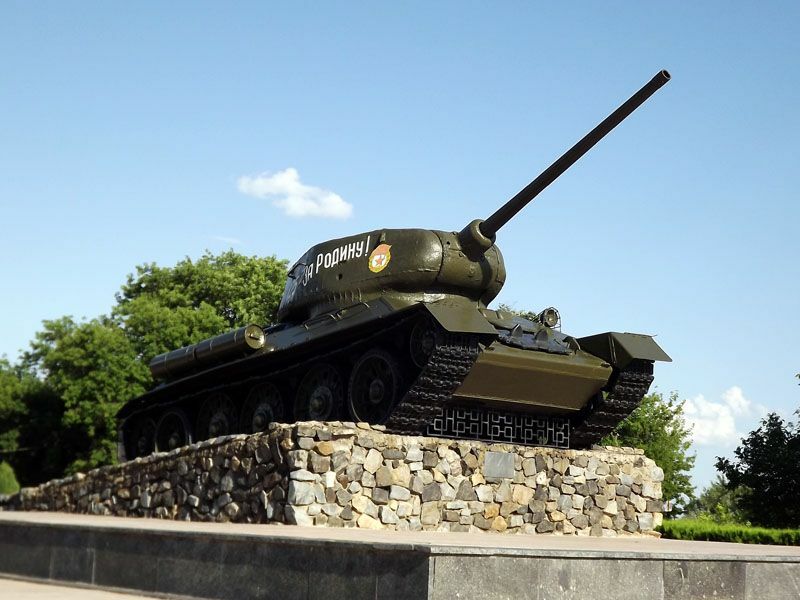 A trip to Moldova can never be complete without seeing Transnistria. In the late afternoon, you’ll be transferred to Odessa on Ukraine's Black Sea Coast. The journey will take about 2 hours, however, the border cross between Moldova and Ukraine may take some time. Today morning you’ll wake up in Odessa, the third largest city in Ukraine, on the Black Sea coast. A warm water port, the city has had a short but chaotic history. When founded in the 18th century, Russia's Catherine the Great sent an invitation to the immigrants from across Europe to come and make their fortune in Odessa. This created a flourishing multicultural city of Jews, Armenians, Turks, Germans, Poles, and Italians, with the outbreak of WWII this diversity in population would sadly be its downfall. In more recent times, Odessa has had its troubles especially during the 2014 revolution, but now, hugely because Crimea is off-limits for most holidaymakers in Ukraine, the city is thriving once more. It’s lovely tree-lined avenues and seaside boulevards are an ideal place to relax and witness a different side to Ukraine. The Potemkin Steps and ornate opera house are architectural must-sees. After the city tour, you’ll have enough free time to enjoy, before boarding the overnight sleeper train to Lviv. 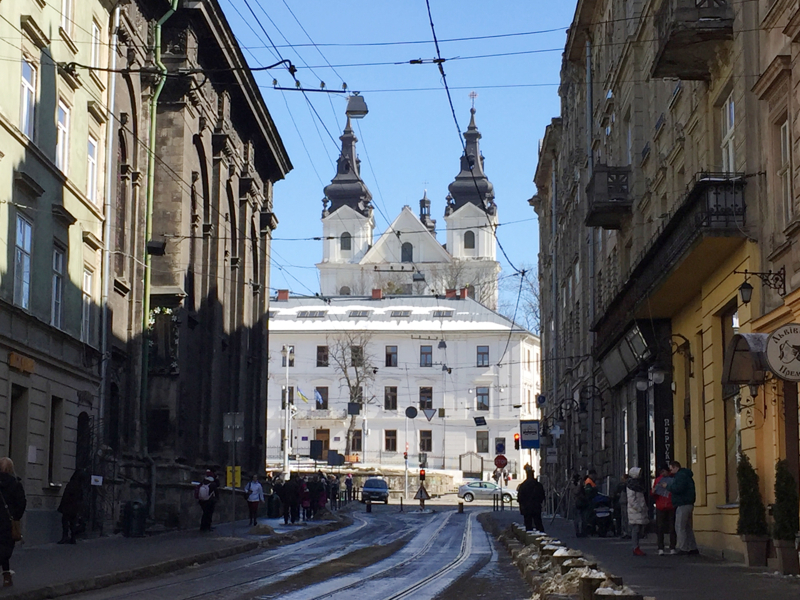 You’ll arrive early into Ukraine's cultural capital Lviv, stopping for breakfast at your hotel and storing your luggage, you obtain a couple of day rooms so you can freshen up. Then head out for a morning walking tour of this wonderful city, before enjoying free time in the afternoon. Climbing the clock tower of the town hall is recommended for a panoramic view of the old town. The UNESCO listed old town of Lviv easily competes with the likes of Vilnius and Krakow in the charm and history stakes! It's vibrant townhouses, cobbled streets, fine churches, and cozy cafes. The cultural identity of Ukraine is stronger here than anywhere else in the country, but with a beautiful mix of Polish, Hungarian, Jewish, and even Armenian history thrown into the mix. Lviv truly is a delight and surprisingly is untouched by mass tourism. 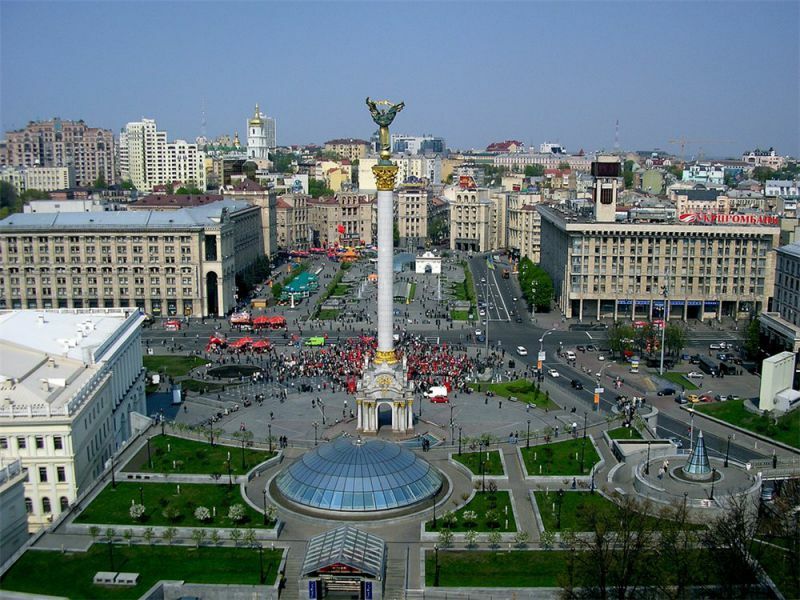 Today morning, you’ll board the train to Kyiv, the mighty capital city of Ukraine and home to over 2.5 million people. The journey will take around 8hrs. Kyiv seems to have rarely left the news in recent years, sadly for all the wrong reasons. However, its citizens are strong and are ever keen to show their lovely city to the world. You will have some free time in the evening to enjoy the city or relish dinner on the capitals most popular street, Khreshchatyk. 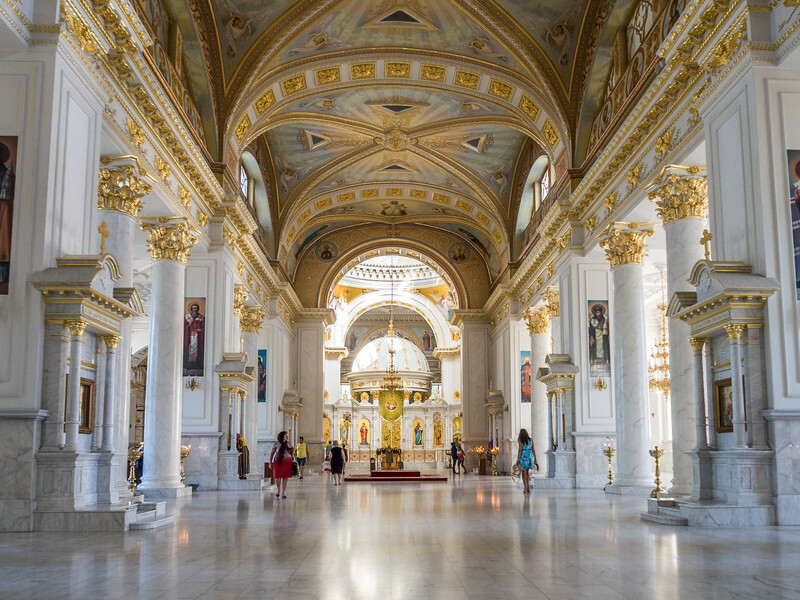 This morning, you’ll enjoy a walking tour of Kyiv's major attractions, such as Maiden Square, the site of the revolutions of 2004 and 2013, St. Sofia Cathedral and the Monastery of St. Michael Archangel. The afternoon is entirely free for you to enjoy this captivating city at your leisure. You may visit the Pechersk Lavra Monastery with its complex of caves housing mummified, creepy nuns. While the National Museum of the Ukrainian history in the Second World War offers you a Soviet perspective, it also gives stunning views of the city. Today, you’ll head out for a guided tour of Chernobyl and also the abandoned town of Pripyat. One of the most famous events in Soviet history happened at the Chernobyl nuclear power plant situated 130km north of Kyiv in April 1986. 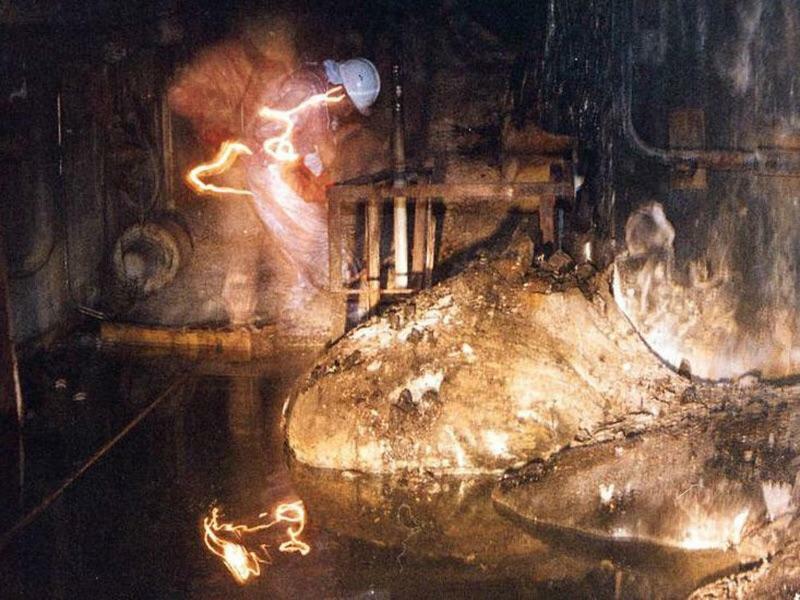 Here the reactor No.4 exploded thus spreading lethal radiation over the town of Pripyat as well as large swathes of Europe. Many looks at this event as the beginning of the end of support for the USSR in Ukraine. 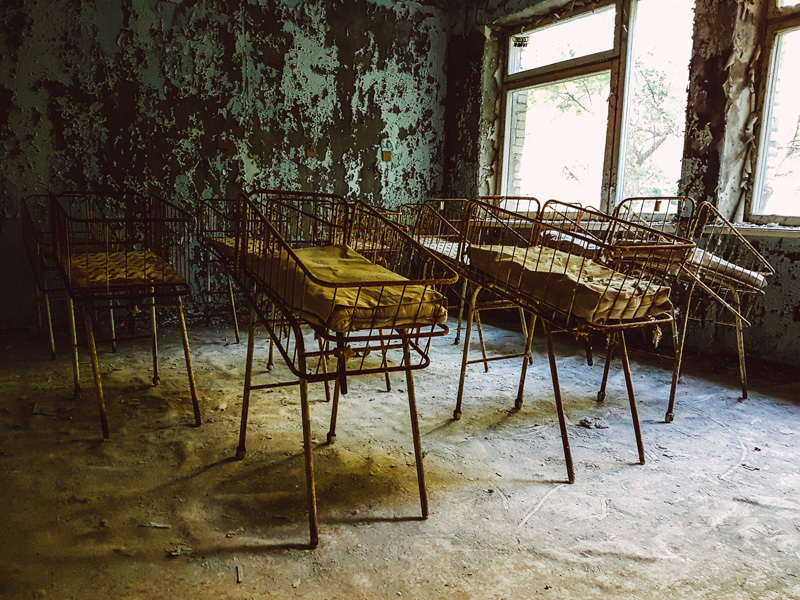 This tour will take you to the heart of the exclusion zone; you will witness the power station as well as the abandoned town of Pripyat, which is frozen in time, like a scene from an apocalyptic future. The expert guide will lead you safely through the area and narrate the story of one of recent history’s most ill-famed disasters. Later in the evening, you’ll leave the hotel and return back to Kyiv to catch a flight back home. If you have any queries regarding traveling in Ukraine or planning a visit to the country, you can fill out the inquiry form or contact us at Priyanka.sharma@Leisure.com and we’ll try to answer them for you as soon as possible. For more travel inspiration, read all our articles for some amazing trips around the world.